Lena Dunham’s not the only celeb with an all-too-relatable approach to meditation. 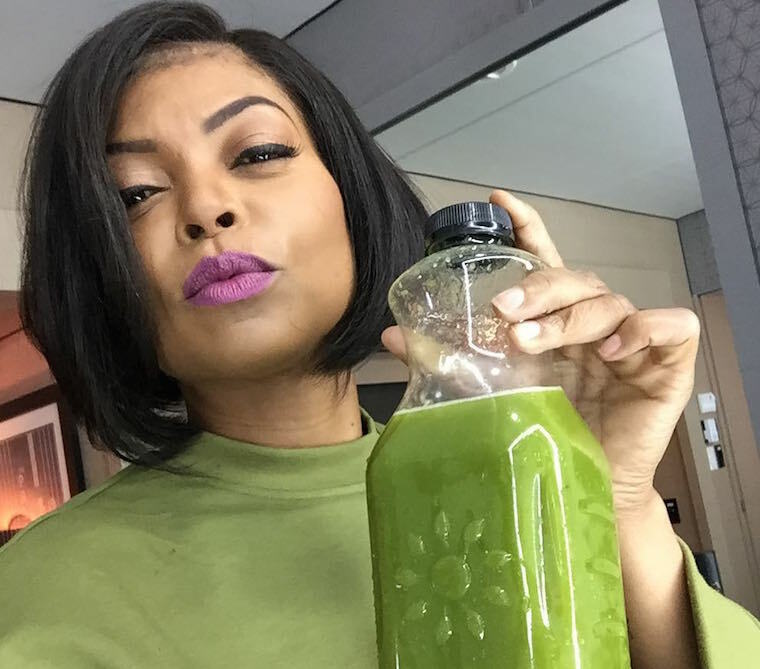 Taraji P. Henson, the badass star of Empire and Hidden Figures, joins the ranks of all who have tried to get Zen, only to find that they can’t quiet their minds—but she’s found a way to push past that. The actress starts each morning with a meditation sesh, right in the comfort of her own home. No commute to the meditation studio or Tibetan bowls needed. “When you say ‘meditate,’ people think that you’ve got to be like, ‘oooohm oooohm,'” Henson tells The Cut in a recent interview. “Meditation is just peace. You’re sitting with your thoughts and letting them play out in your mind until there’s total quiet.” So she’s saying there is an end to that endless cycle of thoughts surrounding your to-do list (phew). You’re telling me I can do the dishes and search for inner peace at the same time? I’ll chant to that. If you’re looking to better your Zen game, however, here are brilliant meditation hacks from wellness-savvy gurus. And these are 7 meditation apps that’ll kickstart your practice—for good.